The practical process of transposing all existing EU law into the UK legal system brings with it many detailed and essential items for decision, the volume of which will likely favour the executive, writes Tobias Lock. He argues that EU withdrawal looks set to have a significant impact on the devolution settlements, as competences between the different levels will likely be rearranged. Turning back the clock after over forty years of European legal integration is not easy. The UK government’s plans for a Great Repeal Bill published in a white paper last Thursday demonstrate this vividly. The idea behind the Great Repeal Bill is simple: to preserve EU law as it stands so that domestic lawmakers can then decide which bits of EU law to retain, which to amend and which to scrap. The white paper itself acknowledges that the devil is in the detail. The solutions proposed will not only mean very limited parliamentary scrutiny due to the sheer volume of changes necessary in a very short amount of time, but they will also lead to serious friction with the devolved legislatures and governments. The drafters of the white paper realised that not all EU rules to be ‘brought home’ are the same. Some can, of course, be applied after Brexit without needing change (eg the entitlement to annual leave in the working time directive). Others could be applied, but it may not be politically appropriate to do so, if they were designed to be reciprocated by the other Member States and the future relations between the UK and the EU do not foresee cooperation in a specific area. An example would be the transmission of data from the UK to the Schengen Information System, if the UK were to no longer take part in it. Others still will not make much sense after Brexit, for example references to EU regulatory bodies such as the European Medicines Agency, if the UK is no longer bound by its decisions. The white paper proposes that the Great Repeal Bill delegates powers to make such technical changes to the executive. In light of the short timescale within which certain changes would need to be made, and in light of the often rather technical nature of the changes, this would seem to be appropriate. It is positive to observe that the white paper expressly rules out wide-ranging, so-called ‘Henry VIII’ powers for the executive, which would allow it to effect policy changes through secondary legislation. A Back Door to Policy Change? It will be interesting to see precisely how the draft bill will ensure that government powers do not allow for a change in policy. After all, even a technical change, such as the one featured in case Study 2 on page 20 of the white paper, can have substantive effects: if the requirement to obtain an opinion from the European Commission – or any other body – on the compatibility of a particular oil and gas project with environmental standards will no longer be necessary, this may in effect amount to a reduction in those standards. In addition, the unpredictable nature of the Brexit negotiations – the outcome of which will determine many of the changes necessary – will require giving the government relatively broad powers regardless. Parliamentary scrutiny will be very limited. Of course, secondary legislation does not go unscrutinised. There are two standard procedures open to the drafters of the Great Repeal Bill: the negative procedure and the positive procedure. The latter means that any statutory instrument must be approved by (usually) both Houses at Westminster. Given the time-pressures that the government is likely to be under once the ramifications of Brexit are clear, the positive procedure is unlikely to be workable. Many of the technical changes envisaged will depend on the final Brexit deal. The Schengen example is a case in point: will the UK continue to be part of the Schengen Information System or not? The answer may only be known in the autumn of 2018, or indeed later. 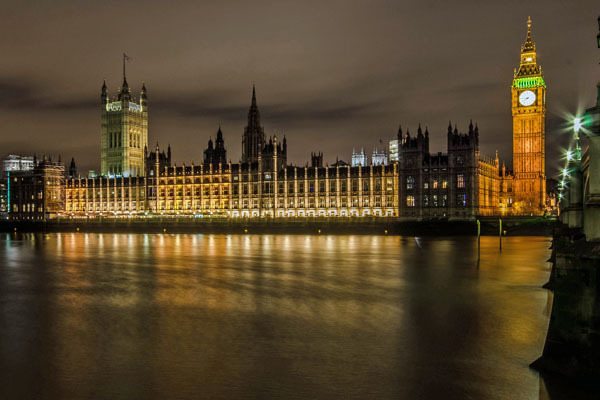 If the UK formally leaves the EU on 29 March 2019 – as is the intention of both the UK and the EU – then there may only be a few weeks of parliamentary time during which such scrutiny could occur. This pressure may be even greater if the bill includes a sunset clause imposing a time limit for the exercise of these powers. Therefore, it is likely that the bill will opt for the negative procedure, which allows parliament to intervene and vote on a motion of annulment during a 40-day period after the draft statutory instrument has been laid before it. Due to the likely time scale outlined above, parliament’s power to scrutinise such measures will in practice be severely hampered. There will probably be hundreds of proposed changes laid before it during a short period of time, so short that no parliament can carry out proper scrutiny. The above discussion concerns the procedure in Westminster. But the most interesting, and shortest, part of the white paper concerns devolution. The white paper is particularly woolly on this issue, but the little it says has the potential to cause political tremors. The key message appears to be that the UK government ‘intends to replicate the current frameworks provided by EU rules through UK legislation’. This, of course, will cut diagonally through the devolution settlement: powers relating in particular to fisheries, agriculture, and the environment are wholly or largely devolved. For a start, this means that the Great Repeal Bill will constitute legislation ‘with regard to devolved matters’ and thus trigger the Sewel Convention. The consent of the devolved legislatures will therefore be needed. The white paper envisages that the technical changes, discussed above, should be made by devolved ministers where the subject matter comes within the competence of the devolved legislature concerned. This mirrors their current powers with regard to EU law, but does not go further. Devolution poses another problem for the Great Repeal Bill. The distribution of powers under the Scotland Act 1998 and comparable legislation for Wales and Northern Ireland remains: agriculture, the environment, etc remain devolved. This means that, in order for the Great Repeal Bill to protect the enactment of EU law relating to those areas from being amended by the devolved legislatures, the bill will need to make express stipulation to this effect. The result would be that substantive changes to this legislation can only be made at the UK level or with its consent. The white paper is open about the UK government’s intentions in this regard: Brexit will be an ‘opportunity to determine the level best placed to take decisions on these issues’. The UK government is clear in its wish to re-open discussions about the devolution settlement. In many regards this may be justified. After all, the devolution settlement was made in the background of EU membership, so that the devolved powers in the areas largely or entirely covered by EU competence were never intended to be exercised in different ways in different parts of the UK. Brexit makes this a possibility and therefore it makes sense to rethink whether all of these powers should remain devolved. In some instances, this may even be welcomed by the devolved governments: after all, powers over agriculture are only worth having if the funding for an agricultural policy (ie subsidies) comes with it. This is in no way certain. The key political problem here is that most powers coming back from the EU are best exercised centrally. This is why they had been given to the EU in the first place. Nonetheless, many in the devolved nations will consider the result of this unpalatable and a politically unacceptable power grab. Hence Westminster would be wise to give something back if it intends to re-reserve certain powers for central decision-making. The white paper on the Great Repeal Bill shows how Brexit will not only lead to a reconfiguration of the UK’s external commitments, but in all likelihood also to profound constitutional change. This article was originally published by the Scottish Centre on European Relations.